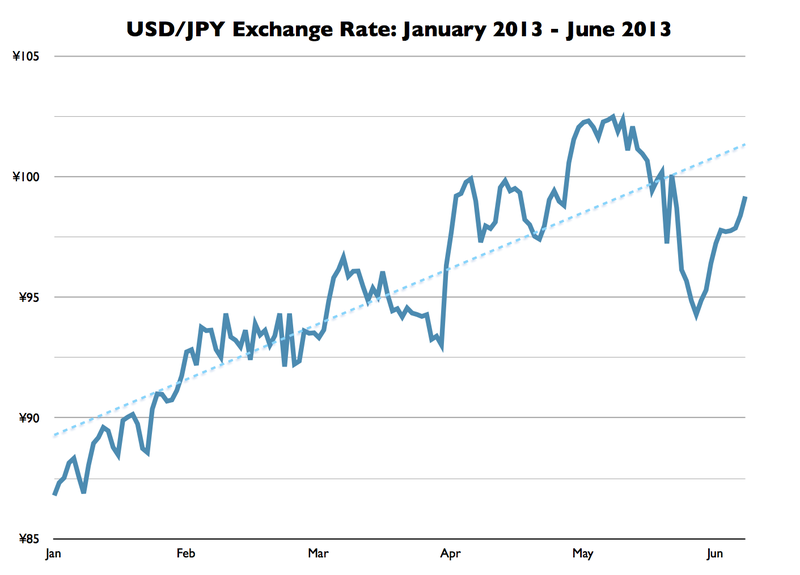 First off, let’s see how the US dollar has fared against the Japanese yen in the first half of the year. While the year so far has been marked by volatility, the overall trend has significantly favored the dollar, which is currently up 14% against the yen compared to the beginning of the year and 24% compared to this same time last year. This is good news for collectors in the US as a stronger dollar directly translates into lower costs regardless of whether you buy from foreign or domestic shops. Looking forward to the second half, I expect further strengthening of the dollar, but at a slower pace than the first half. I’m no forex analyst, but I’m thinking that the USD/JPY index will end the year somewhere in the 100-110 ¥/$ range. By this time last year, all of my prior year orders had come in and I was able to give an update with the final costs of all the previously open preorders. 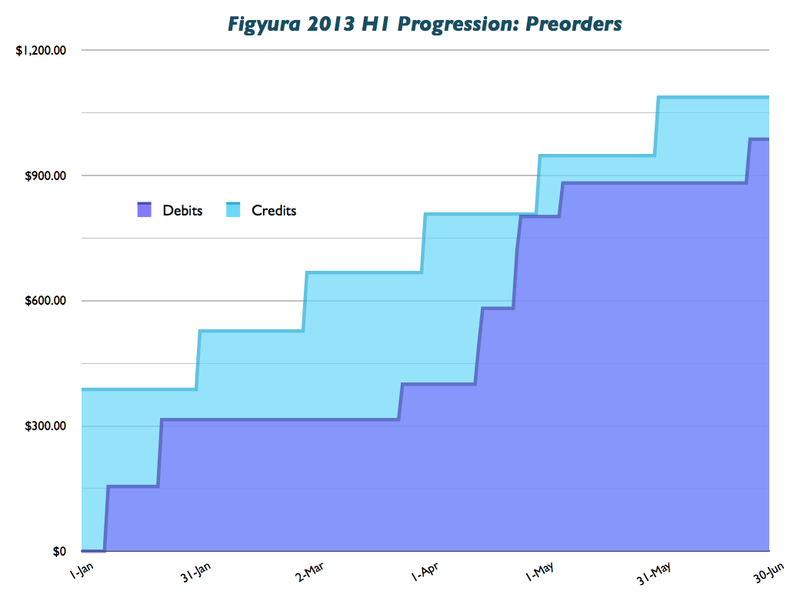 This year has played out a bit differently as I still have three open preorders from 2012 at the halfway mark. Leviathan came in over estimate due to an unexpected bump from SAL to EMS shipping. Given that I feel Levi’s EMS requirement was entirely due to her very large and heavy display base, I won’t be surprised if Lucifer carries a similar requirement come release. Otherwise, I would expect that Suzuha and Lucifer will come in below estimate due to improvements in the exchange rate (see previous section) since their order dates. Hanna-Justina, on the other hand, was paid in advance, as is often the custom with exclusives. She serves as a painful reminder of how a deposit on a preorder paid in JPY can bite you later if exchange rates improve before the order is filled. I figure I could save roughly 25% if I could pay for Hanna-Justina today versus last year due to differences in the exchange rate between then and now, but I can’t realize those savings because I’m locked in to the old exchange rate by the deposit. This is the reason why I specifically looked for a shop that would accept orders on exclusives without a required deposit (see my Keiji order with Nippon-Yasan below). As was the case last year, I’ve split my figure budget into two parts: a preorder-only portion based on a monthly rolling budget and general purpose portion based on a lump sum allocation. I will be addressing each individually. 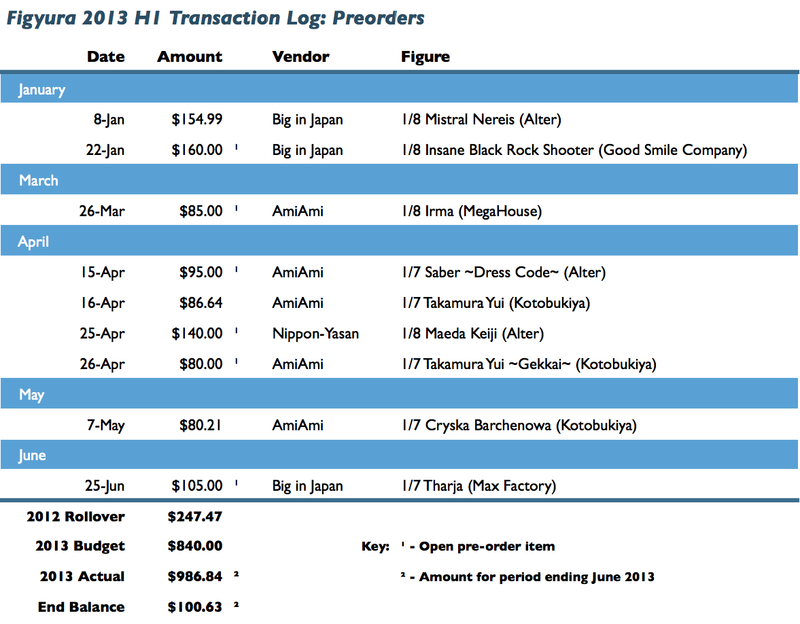 Here’s the transaction log for the preorder portion of the budget. 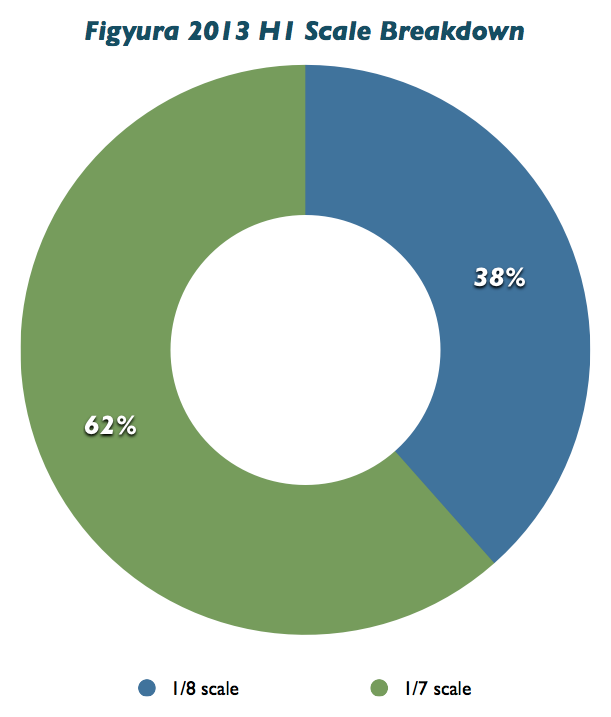 Which gives us the following progression over a six-month period. April was a very heavy month for spending compared to the rest, but February had no transactions, so the two more or less offset. 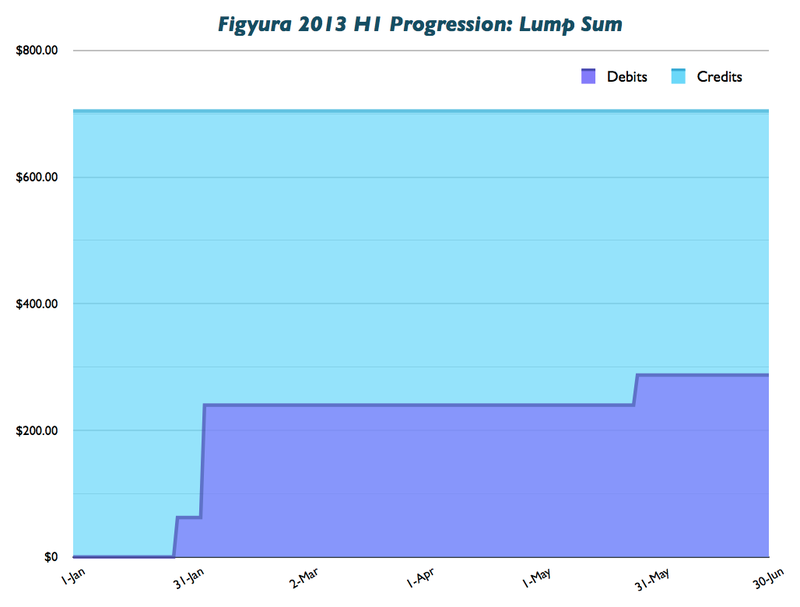 Here’s the transaction log and progression graph from the lump sum side. Well, this picture certainly looks better that last year, doesn’t it? I pretty much exhausted my lump sum budget in just the first four months of 2012, so spending less than half of my general purpose funds over the same period is a significant improvement that should help me keep options open later in the year. As with last year’s mid-year report, I won’t get into the fully set of analysis I typically do for the year-end reports. I did spot one interesting trend with scale figure sizing in the first half, though, so let’s look at that breakdown now. 1/8 scale has been the standard in scale figure sizing for as long as I’ve been collecting, so I was pretty surprised to see that 1/8 scale figures were actually in the minority, outnumbered by 1/7 scales at a ratio of nearly 2-to-1. Granted, I prefer larger scales on the whole, so maybe this shouldn’t be a surprise, but there’s just usually not a lot of good 1/7+ scale figures to choose from. I wish this were an indication of an industry-wide shift, but I feel that it’s more likely due to an unusually good crop of larger scale figures in the first half of 2013. On the other hand, I’m a bit disappointed to see not a single 1/6 scale figure in this bunch, as that is probably my favorite size in terms of maximizing detail while still mostly fitting on my shelves. That’s it! Check back at the end of the year for the full year-end report. You ordered less than me so far, the last few summer weeks were full of dangerous items for me, still I tried to resist some appealing things. Because of the exchange rate money became an even lesser problem, but space is slowly running out. I’ll try to keep my level with selling figures I got bored of. I see you also got Aizawa Nao and Insane BRS, you sure ordered some great stuff. I recently could strike an always wanted figure from my list, as I bought Kanbaru Suruga for too much money. Now Sonsaku Hakufu from New Line is left, I hope the prices drop a bit someday, since I don’t think that I should pay 150€ for this figure. You raise a good point. Space is really more the enemy for me than money at this point. The most pragmatic solution, in my opinion, is to sell off old figures as new ones come in to maintain a rough equilibrium. That said, I struggle with breaking the sentimental attachment to old figures, even if they’re far from my favorites, so I tend to sell old figures at a much lower rate than I buy new ones, so my available space is slowly dwindling. Nao was sort of thrown in with Muramasa in hopes of saving with combined shipping, but it ended up being cheaper to ship the two figures separately. Even so, I’m quite pleased with Nao for the price I paid. She’s a top-notch figure. 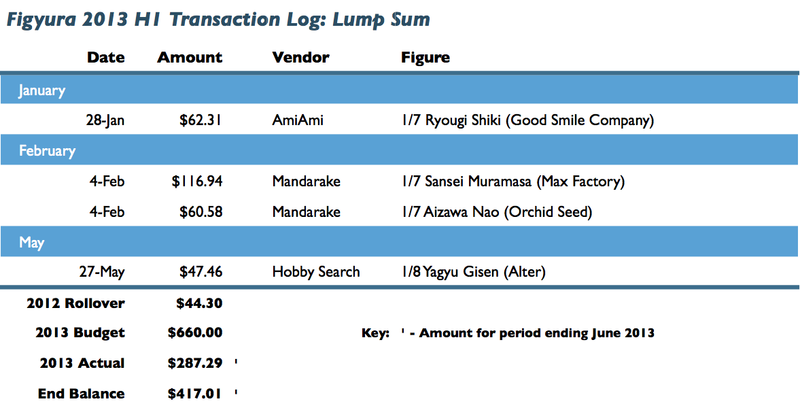 I would still very much like to cross some long-wished items off my list like Alter’s Bounty Hunter Yoko and GSC’s Black Gold Saw, but the current pricing just makes me cringe. Budgeting considerations aside, paying above retail on a figure feels like admitting defeat. The opportunity to buy the figure when it was (more) reasonably priced has passed, so the game is already lost so to speak.